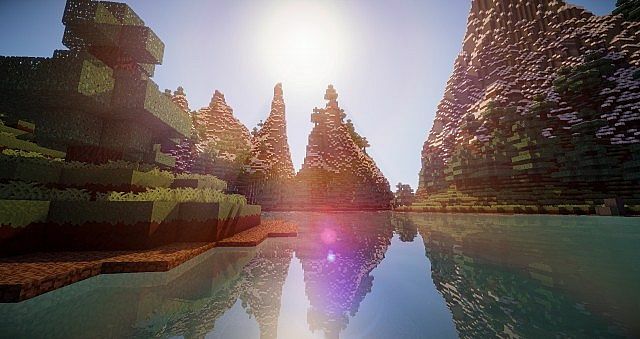 Hawkpack is a “plain looking” resource pack designed to make Minecraft look better, but not overly realistic. It significantly improves the appearance of Minecraft while maintaining the same classic Minecraft look. This texture pack features 32×32 resolution, which means it only slightly bumps up the resolution of Minecraft. If vanilla Minecraft works without issue on your system, then you shouldn’t have trouble running the Hawkpack Resource Pack either. One cool feature with Hawkpack is that different quality materials now look totally different from one another. Your Diamond Sword, for example, now looks and feels way stronger and more powerful than a Wooden Sword. It’s also important to note that Hawkpack majorly edits some of vanilla Minecraft’s colors, giving some objects a totally new and unique look. While some elements of vanilla Minecraft are maintained, others have been changed for the better. If you’re looking for a realistic texture pack, then the Hawkpack mod is not a good option. If you’re looking for a 32×32 texture pack that improves the resolution of vanilla Minecraft while maintaining the unique Minecraft aesthetic appeal, then Hawkpack could be an excellent option. Step 2) Download the 32x version of Hawkpack from here. Step 6) Start playing and enjoy!